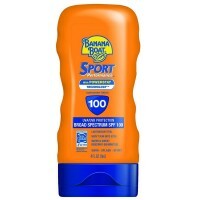 Directions Apply generously and evenly to all areas 15 minutes before sun exposure. 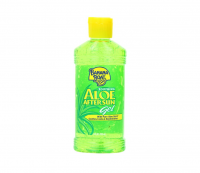 Reapply at frequent intervals and after swimming or towel drying. Ask a doctor before use on children under six months of age. Sun alert: Limiting sun exposure, wearing protective clothing, and using sunscreen may reduce the risks of skin aging, skin cancer and other harmful effects of the sun. May stain some fabrics. Uses Helps prevent sunburn. 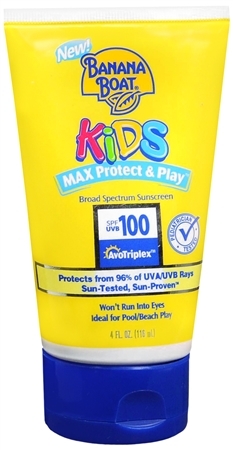 Banana Boat Max Protect & Play Lotion SPF 100 for Kids provides our maximum protection from sunburn and skin damage by protecting from 96% of UVA/UVB rays. 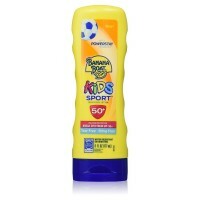 This exclusive formula is gentle, long-lasting and very water resistant to keep up with active kids. Hypoallergenic, fragrance-free. Warnings For external use only. When using this product: do not get into eyes. If contact occurs, rinse thoroughly with water. Stop use and ask a doctor if irritation or redness develops. Keep out of reach of children. If swallowed, get medical help or contact a Poison Control Center right away.